I say “again” because the eulogies for Detroit have come steadily for years. Published accounts of the city’s epic rise and fall practically constitutes a literary sub-category, with documentary films, coffee-table books filled with intriguing ruins that are both beautiful and heartbreaking, and almost daily reports that things are only getting worse. But the people who actually live in Detroit, as well as frequent visitors, say it’s a great city. Still. And especially over the past couple of years, it’s getting better all the time. Walking through the downtown area, you’ll see dozens of building permits, SOLD signs and new construction. Local developers are buying up dozens of properties. But you won’t read much about any of that in the national press, as it doesn’t fit the established narrative. 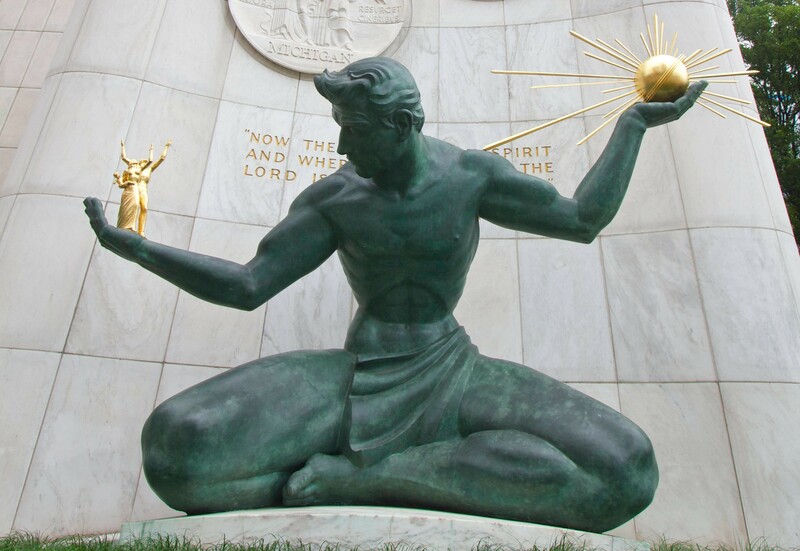 But here’s the thing: If you enjoy some of the world’s finest art, beautiful parks, magnificent architecture, stunning museums with singular collections, evocative and interesting restaurants and bars, artisanal craft and indefatigable creativity, and a citizenry that is friendly and welcoming, then you really, really need to visit Detroit. Because you will have a wonderful time. Detroit has problems, of course. 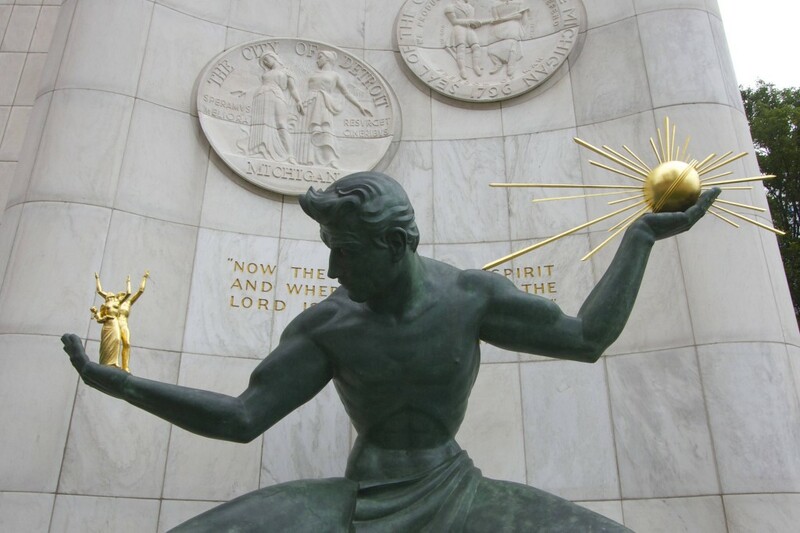 But the people of Detroit are rising with a spirit. There’s a palpable excitement here, intelligence and creativity. People who choose to live here are writing upon the blank pages of Detroit and creating new chapters, redefining their city in defiance of the critics. 1: Brought back to life or activity. 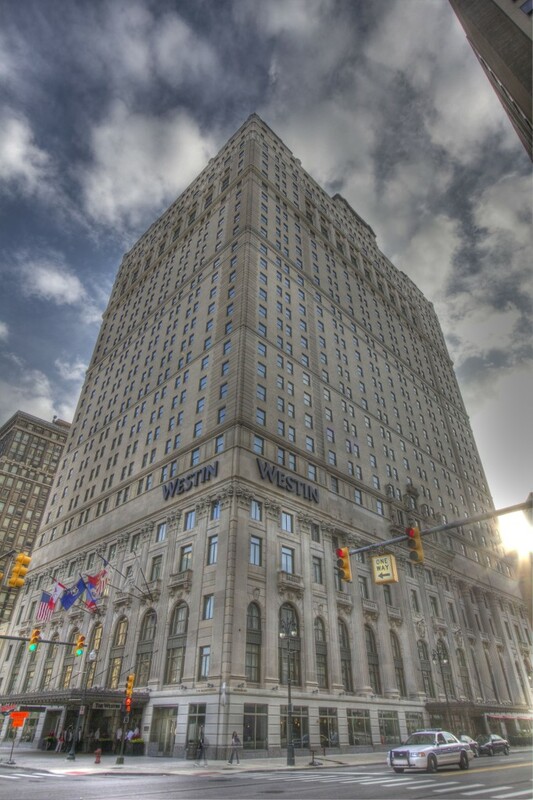 Stay at The Westin Book Cadillac Hotel right in the heart of Downtown Detroit, and get your first experience of this great city reinventing itself. 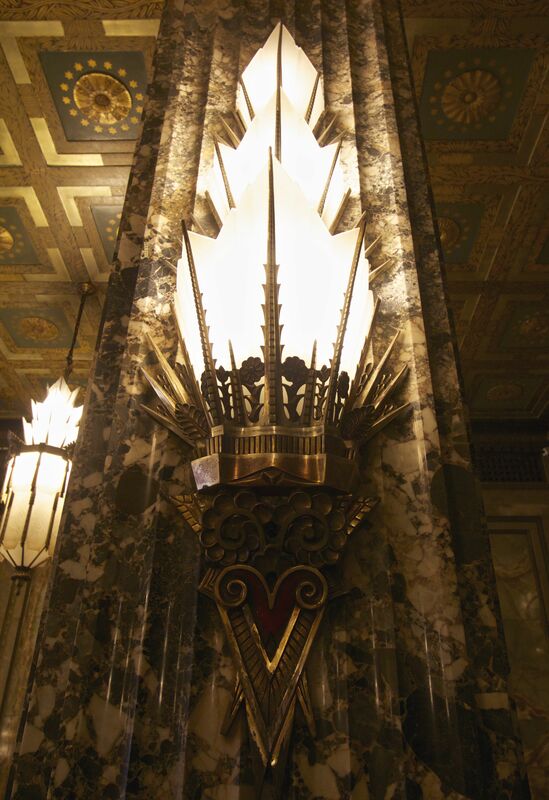 Built in 1927 in a grand Neo-Renaissance style, the 31-story Book has a history of bouncing back from adversity. It was still new when the crash of 1929 sent the city, and the nation, into a prolonged tailspin. The hotel changed hands multiple times and was vacant for decades before a $200 million renovation brought it back to vibrant life in 2008. 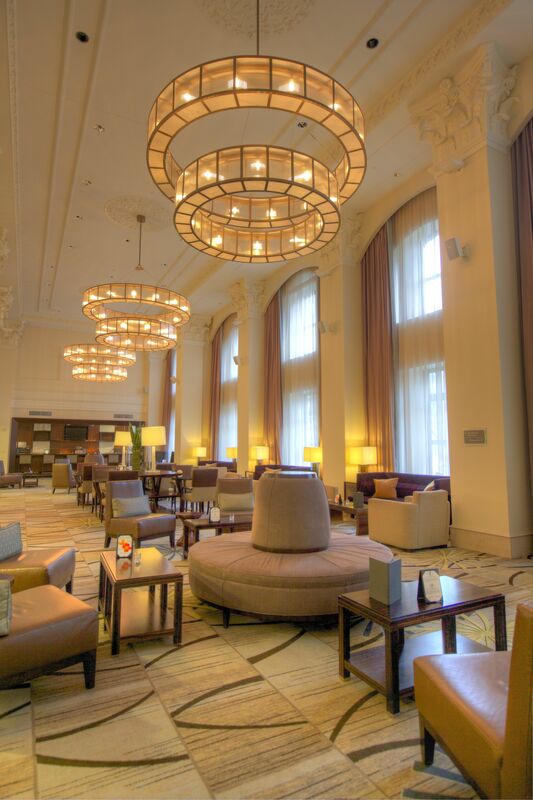 The reanimated hotel now includes a spa, an indoor pool, and two restaurants — the inviting Spa 1924 Grille, and Roast, a steakhouse owned by Cincinnati-based, Food Network celebrity chef Michael Symon. There is also an upscale coffee shop, and a mezzanine-level lobby bar that serves as a great place for an after-dinner cocktail. 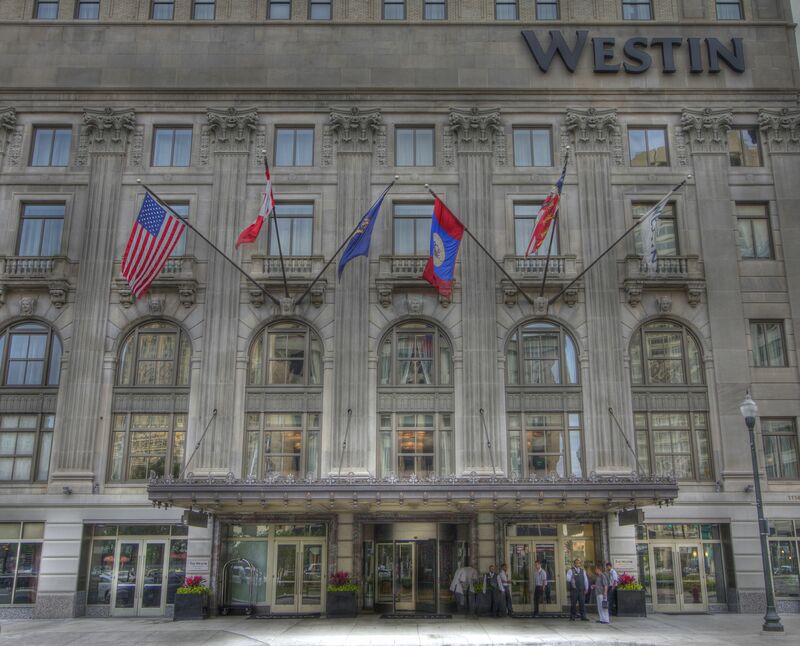 The Westin Book Cadillac makes a comfortable and appropriate home base for an exploration of a great city amid its rebirth. Detroit’s downtown has a relatively compact center, so you can walk to the pleasant new Riverwalk in just a few minutes. You’ll pass some wonderful architecture as well as bountiful urban gardens that were empty lots not too long ago. Greektown, the theatre district, and such nightspots as Cliff Bells jazz club lie within an enjoyable walk from the Book’s door. Comerica Park, home of the Detroit Tigers, is only half a dozen blocks away, too. 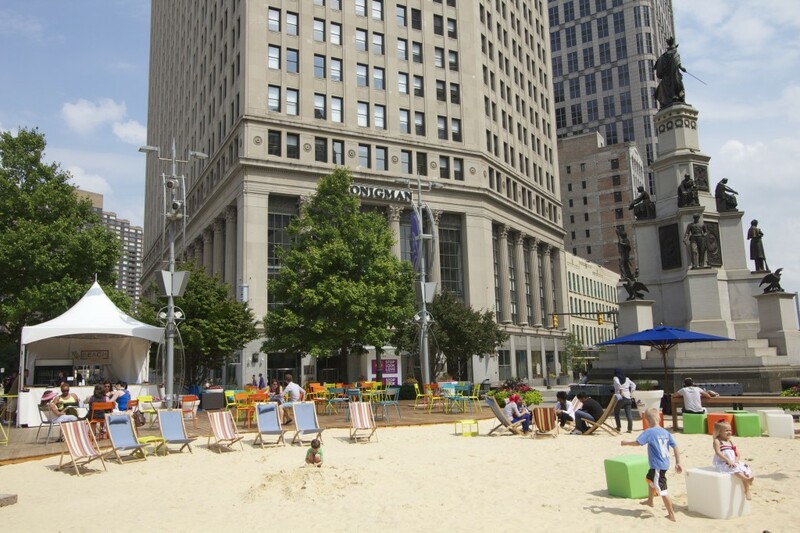 But one of the simplest, smallest, and most charming ways you can begin to turn your assumptions about Detroit on their head is by walking over two blocks to Campus Martius Park to enjoy their beach. Yes — beach. 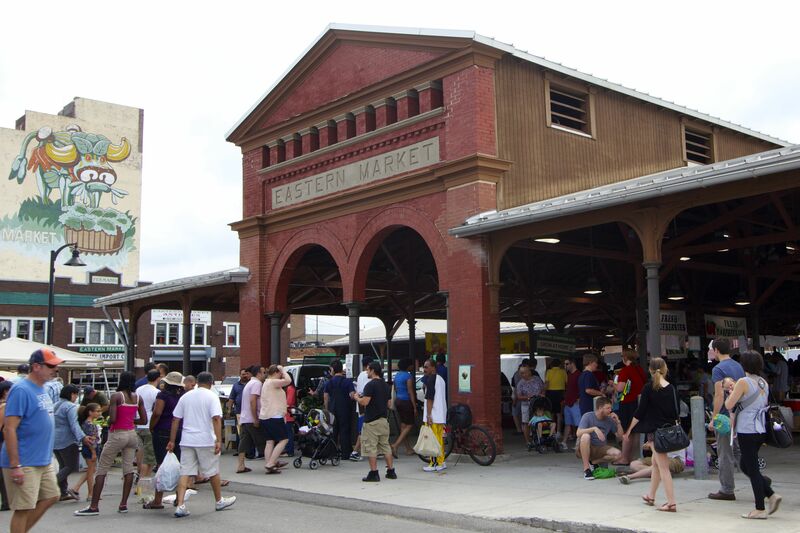 The 2.5-acre Camp Martius Park, a tree-lined intersection of six streets at the very heart of downtown, is regularly home to concerts, theater performances and a youthful neighborhood crowd. The Woodward Fountain splashes coordinated geysers of water into the air. A forest of green umbrellas and café tables surround the Fountain Bistro. Most remarkably, this downtown urban park includes a white sandy beach dotted with colorful beach chairs. The beach concession stand sells ice-cold Michigan beers, wines and tasty light fare. Moms park themselves in the multi-colored lounge chairs while their little ones make castles in the sand. This incongruous beach is a brilliant and simple idea, and it works. They dumped a couple of tons of pure white sand into a civic plaza, threw in a few dozen beach chairs and—presto—a new living room blossoms amongst the skyscrapers. And in winter, the fountain is transformed into a skating rink, for four seasons of enjoyment. 2: To bring back into use. Dozens of buildings in the downtown area are getting snapped up by developers and remodeled. 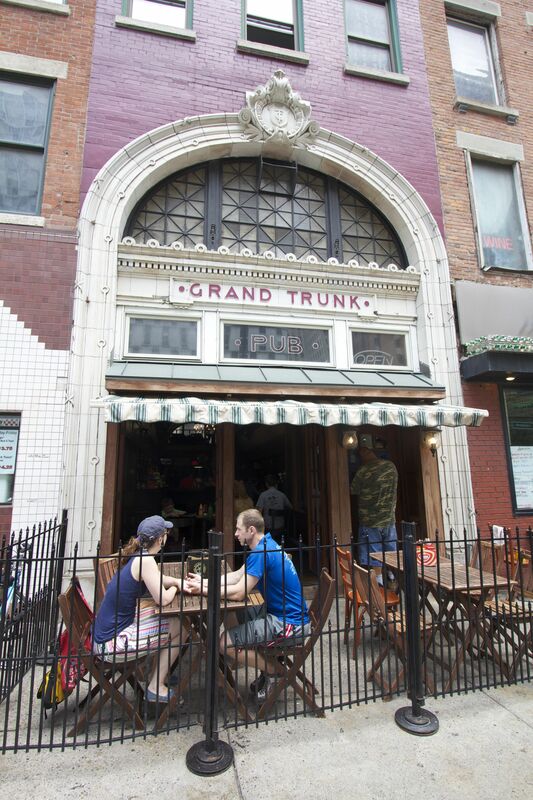 One block away, on Woodward toward the river, Foran’s Grand Trunk Pub, a former ticket office for the now-defunct Grand Trunk Railroad, offers one of the best selections of Michigan beers in the city. They also do excellent sandwiches, including a fantastic heart-attack Rueben that would be a perfectly valid last meal for any discerning death row inmate. Sinfully delicious. Also nearby on Woodward Ave. is the Hudson Café, an airy and warm modern breakfast place that opened two years ago. They have a stone fireplace, big windows, high ceilings and a friendly vibe. While I await what will turn out to be a decadent yet light stuffed french toast with fresh berries, waitress Kathy Smith cheerleads for her city. She tells me how a few years ago she got laid off from her construction job and picked up waitressing shifts to make ends meet. Her old construction company called her back last year, and now she has more work than she knows what to do with. But she loves the waitressing job so much she can’t bear to give it up. It’s a nice problem to have. 1: To retain in the memory. 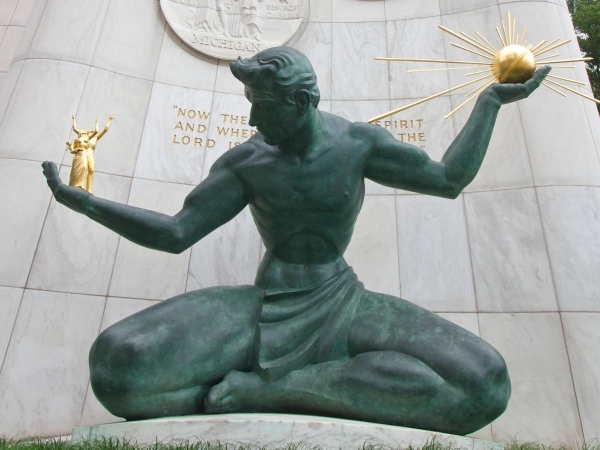 While much is new and noteworthy in Detroit, the city is stuffed with grand remainders of its glorious past. Especially for a short visit, be smart and retain the services of a guide who can not only make sure you see the highlights, but give you the context that will make the sites meaningful. On the enthusiastic recommendation of a Detroit native, I took a tour with Professor Michael Farrell of Art House Lectures & Tours. Michael is like the favorite professor you had in college; warm, brilliant, funny, and with an encyclopedic knowledge of his subject. He and Art House manager Marc Herrick make a delightful team, and they can put together a tour custom-tailored to your interests. 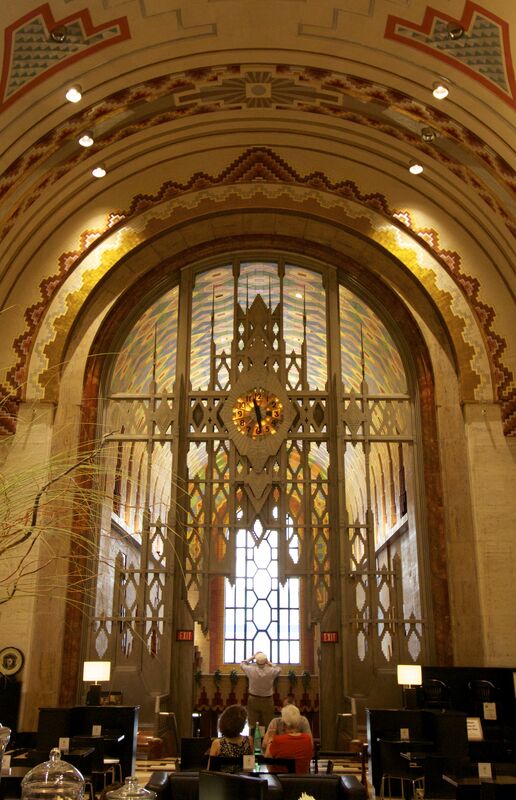 They showed me the incredible Fisher Building, one of the finest extant examples of Art Deco in the country. 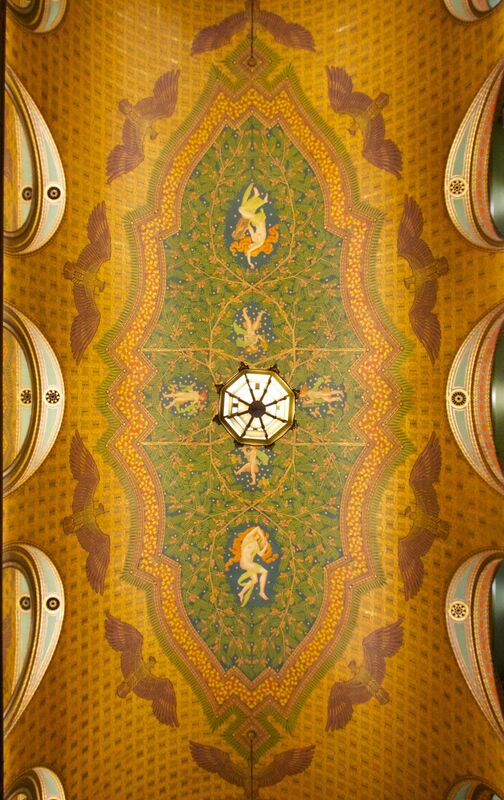 I also saw Wirt Rowland’s Guardian Building, an exuberant downtown combination of Art Moderne and Native American influences (really) — my favorite building in Detroit. I learned the stories behind the buildings. Why they mattered, beyond what I could see with my own eyes. And we drove into less-visited areas of the city to plumb the hidden histories of neighborhoods. We also drove down the reanimated Woodward Ave. My guides proudly pointed out all of the new growth, the success stories, and the rescues of older gems. 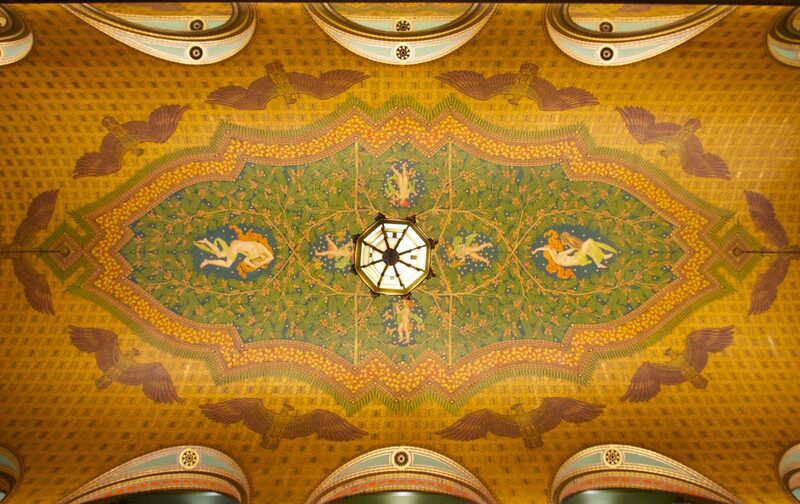 The Art House tours will win you over with a love for the city of Detroit, old and new. Make sure your tour includes Farrell and Herrick’s own home, the Art House, with its gob-smacking collection of paintings, rare antiques, astonishing collection of decorative silver, Asian treasures and more. The house itself is a stunner, a gorgeous Victorian manse constructed on spec by a wealthy lumber baron. It serves as a proud portfolio of the woodworker’s art. As I marvel at the craftsmanship of the Art House, Michael points out holes drilled into the grand doors for deadbolts installed when the place was a down-at-the-heels boarding house in the bad old 70′s. Will they patch the holes? Of course they are. I learned to see all of Detroit through this lens during the rest of my stay. The flaws, the old wounds, the gaps are all part of the city’s history. Detroit has earned her hard scars. 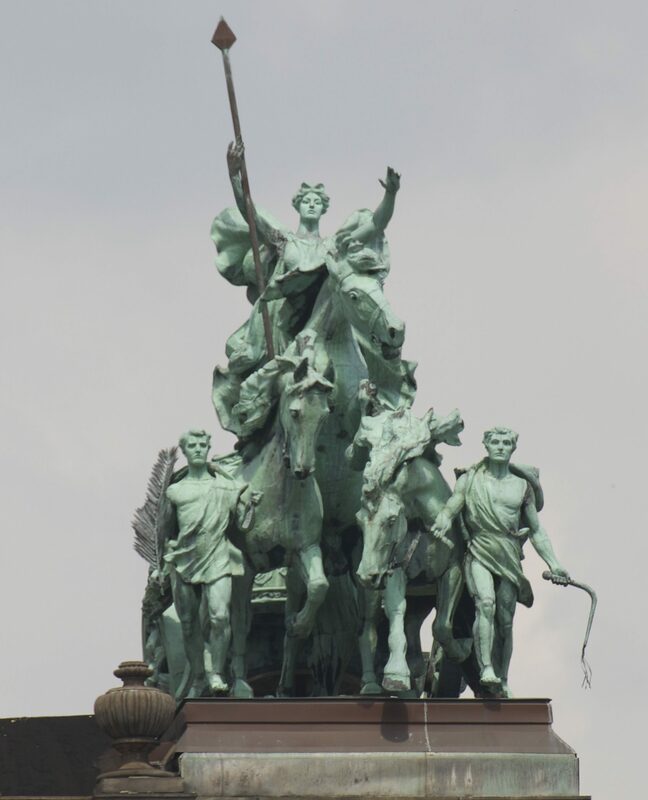 And for those who know how to look, they are the telltales, the vital part of the patina that gives the city its character. 2: To call to mind the past. 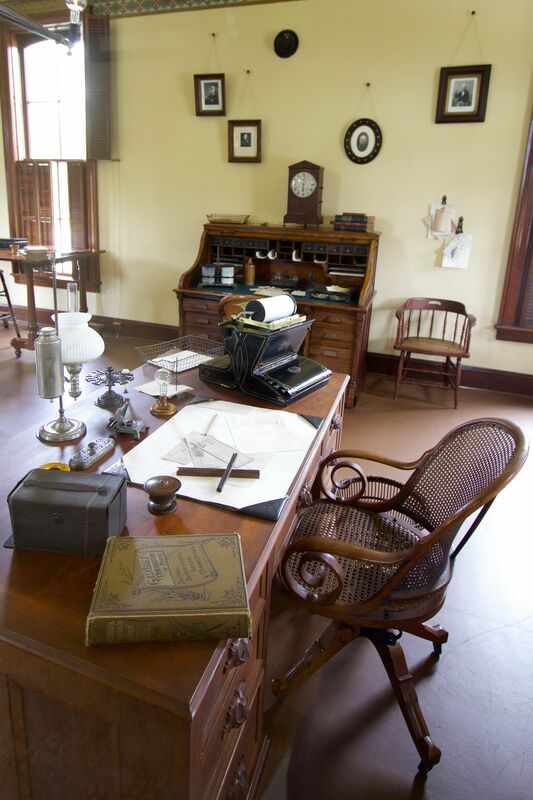 Another way to reconnect with the city’s grand past is to include a visit to the Henry Ford Museum and adjacent Greenfield Village. 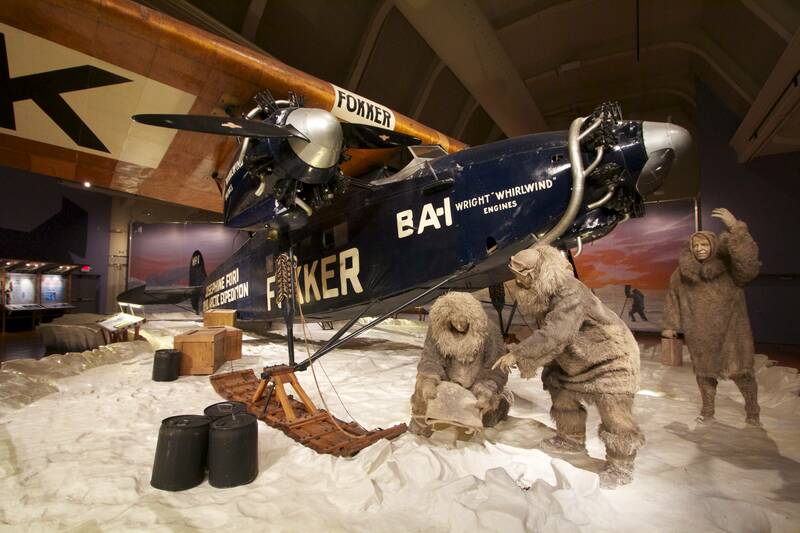 While the museum does of course include a brilliant collection of classic cars, the focus is much broader, displaying many different triumphs of invention, with a huge assortment of trains, planes, generators and important milestones in the history of mechanical and technical innovation. 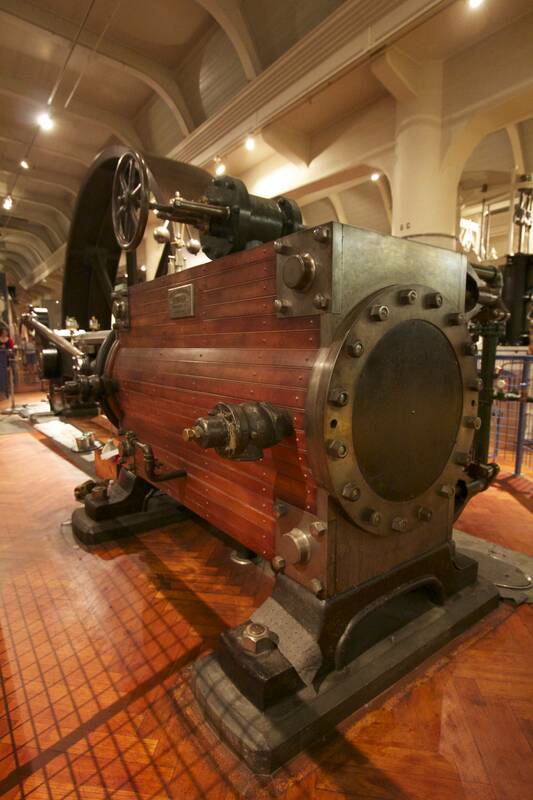 That sounds dry, but walking in the museum is thrilling, and kids love it. 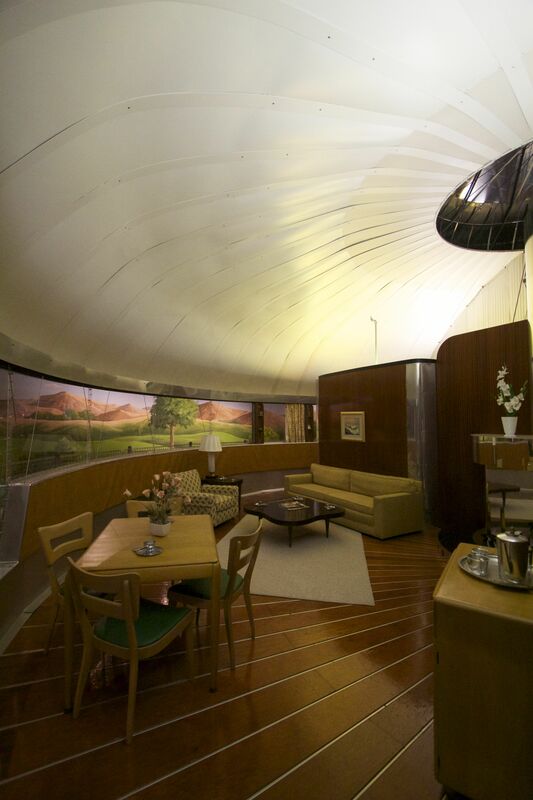 The museum also features the only existing Dymaxion House, Buckminster Fuller’s 1946 Home of the Future. 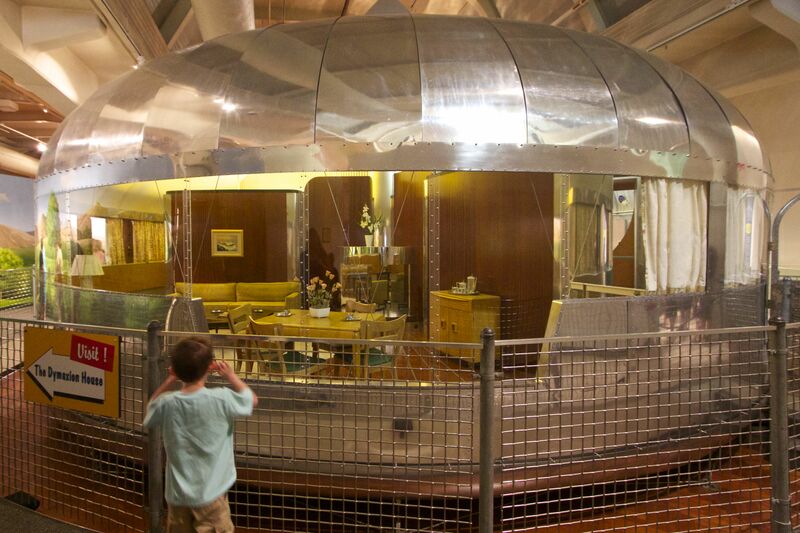 With World War II suddenly over and factories that produced warplanes suddenly idled, Fuller proposed to turn assembly lines to building gleaming new aerodynamic aluminum homes for the emerging middle class. Fuller’s dream never found funding, but the home is visionary, with technical innovations that many modern homes still lack. Adjacent Greenfield Village is in many ways even more impressive. Ford’s staggering wealth made possible the collecting of not only iconic products, but of the buildings where those new ideas were born. Most Greenfield Village structures were moved from elsewhere. 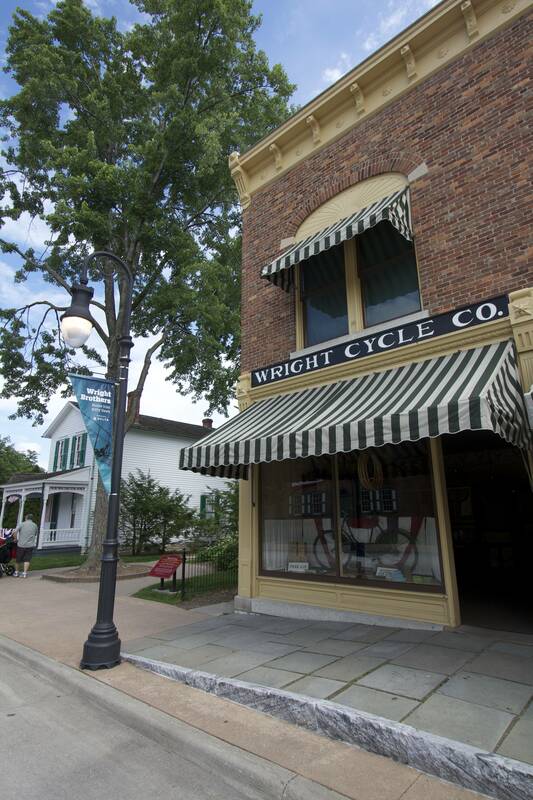 You can tour the two-story brick bicycle shop where the Wright Brothers built their first flying machine. A few streets over, an entire city block holds the complex of buildings called Menlo Park, where Thomas Edison invented much of the 20th century, perfectly preserved with their original contents intact. 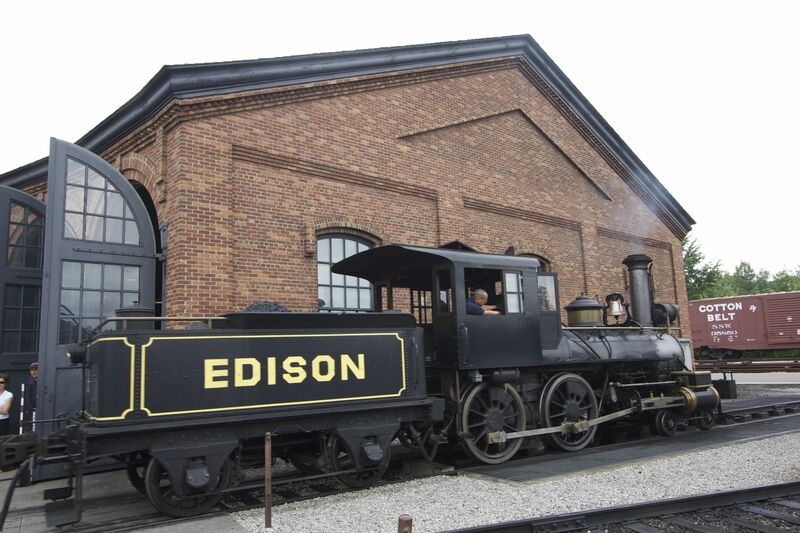 There is a carousel, train yards and depots, and re-enactors in period dress demonstrating 19th-century art and craft. You could easily spend a day in Greenfield Village alone and not exhaust what it has to offer. 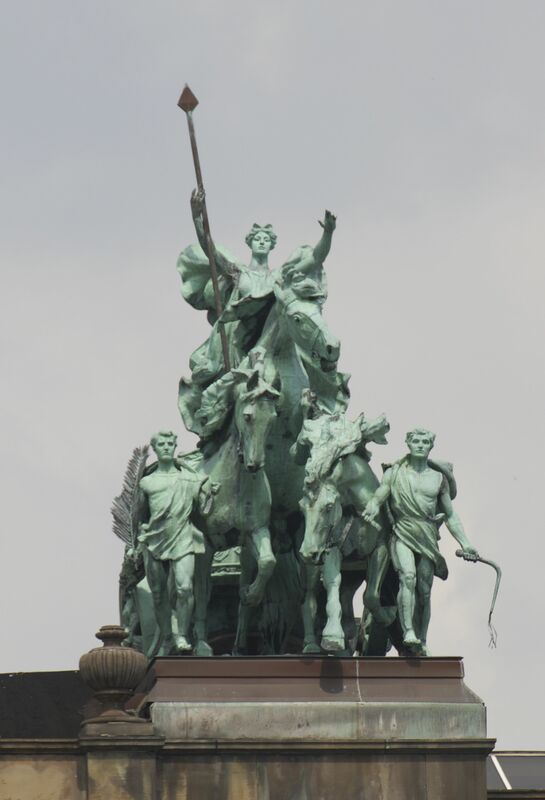 1: To change the structure, style or form of something. 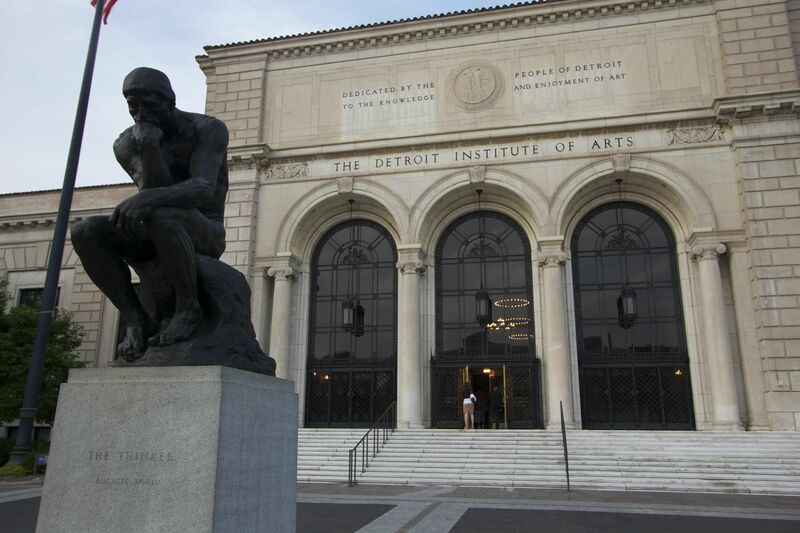 The Detroit Institute of Art is one of the top 10 art museums in the country and worth the drive from Milwaukee all by itself. The museum boasts a glorious collection that includes Renoir, Degas, Van Gogh, an important American collection and a trove of Dutch masterpieces. 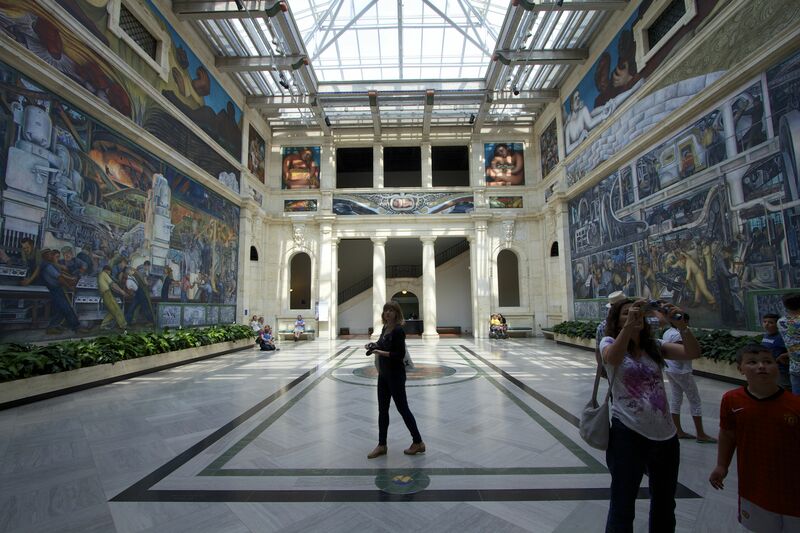 Look with wonder on the magnificent Diego Rivera mural that wraps around all four walls of the central atrium. 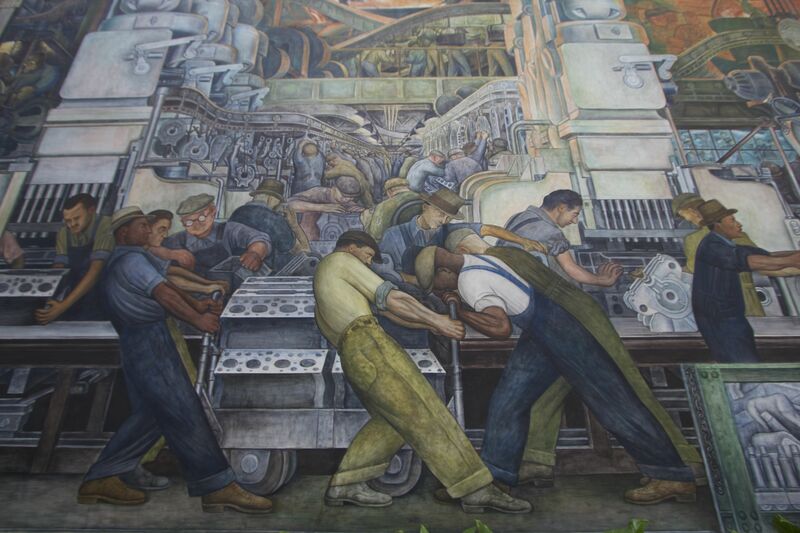 The mural celebrates the interconnectedness of all the participants in Detroit’s industry, emphasizing that all of them are important. And it is beautiful. 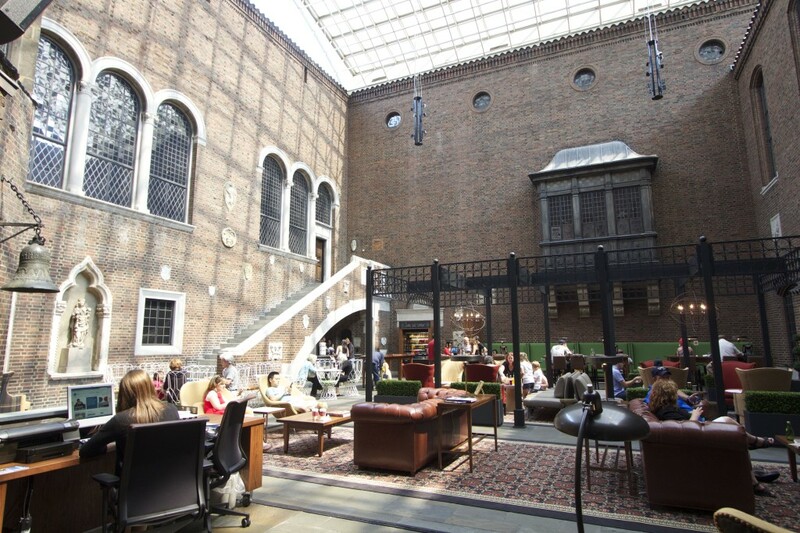 Plan to dedicate at least half a day to exploring this magnificent temple to art, making sure to spend time in the three-story, glass-ceilinged Kresge Court, newly remodeled just last month and more impressive than ever. If you have time, consider venturing out to stroll the sculpture garden. 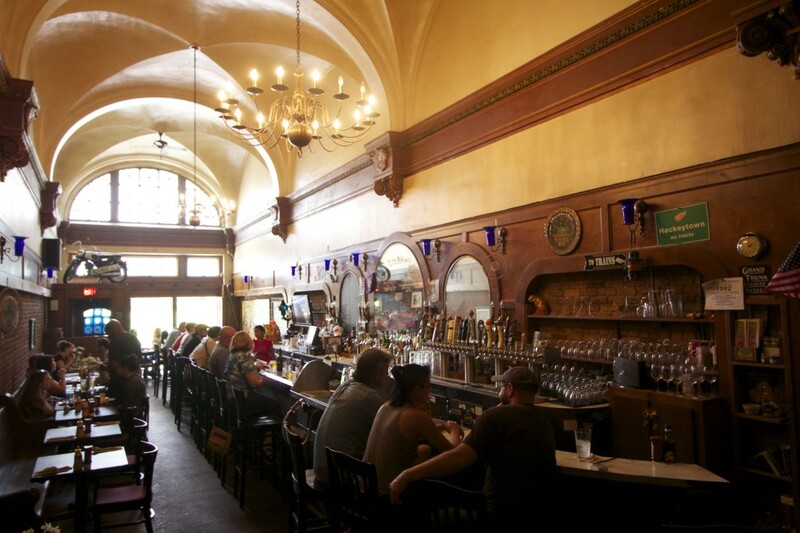 If it’s a Friday in summer, head into the courtyard to hear live music, eat and drink in the shadow of all of that history and inspiring artistry. At the gift shop, you can round up your purchases, to give a little extra to the museum. You should. 1: To revive with rest, food and drink. 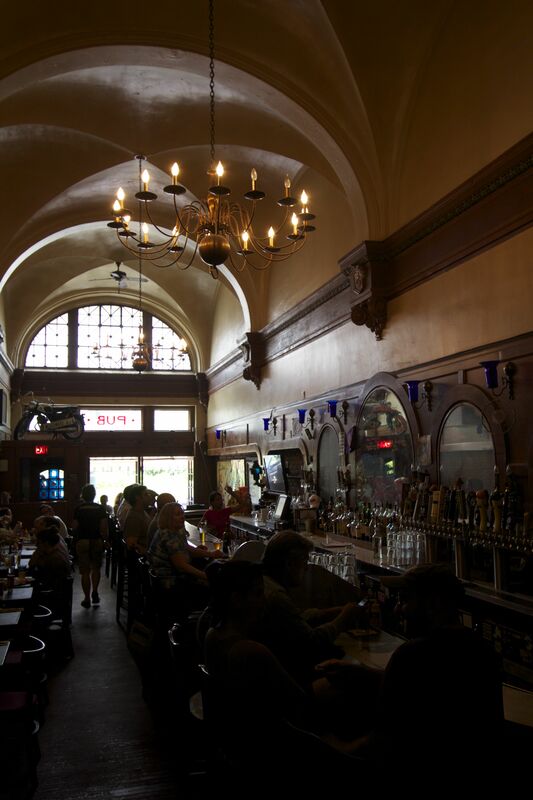 After your idyll with great art at the DIA, walk right past one of the original casts of Rodin’s The Thinker and cross the street to the Rodin Restaurant. The new eatery takes a playful, small-plates approach to classic French bistro fare. The wine list is small but well-chosen, and they have a creative menu of craft cocktails. Try the Sloppy Lamb with fennel jam, brioche, house pickled carrots, and mint. Or the coq au vin with candied bacon dust, red wine and celery salad. Leave room for the killer deserts, too. After dinner, I chatted with Rodin executive chef Kate Williams to compliment the meal. 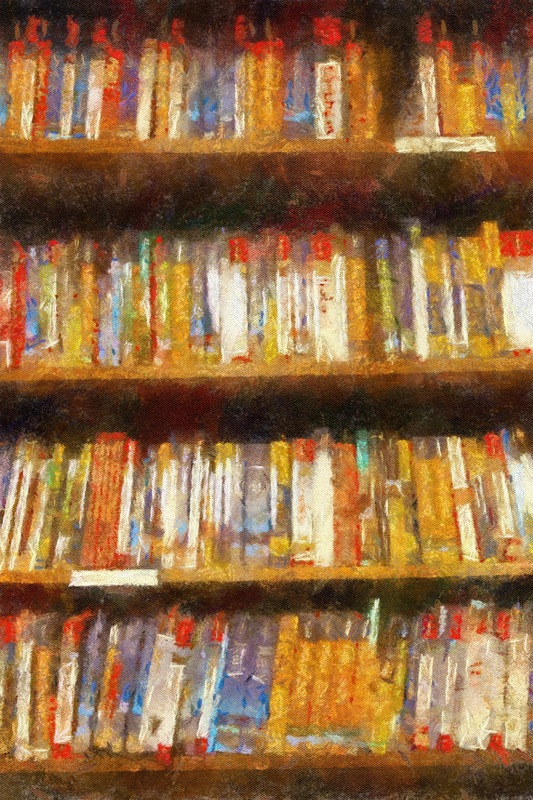 She revealed that her own story is a sort of Detroit reclamation project spurred by loss. The Detroit native left to enjoy a career in cooking in Soho in New York, and went on to work as a high-end sous chef working for Wolfgang Puck in Chicago. A death in the family drew her back home. Once returned, she decided to stay. With Rodin, Kate Williams is making it easier for others to follow her example. To politely contract a famous old saying, you don’t know Shinola. But you will. Just this spring, the company officially launched the first watch factory to open in America in 40 years. It’s headquartered at the old Argonaut Building, which once housed GM’s design studios. The new Shinola Runwell wristwatch, the first watch built in the United States in more than 40 years. Made in Detroit. Photo courtesy Shinola. The Shinola watch proudly features the word “Detroit” on the face, with a tiny orange sliver of a lightning bolt above the company name. 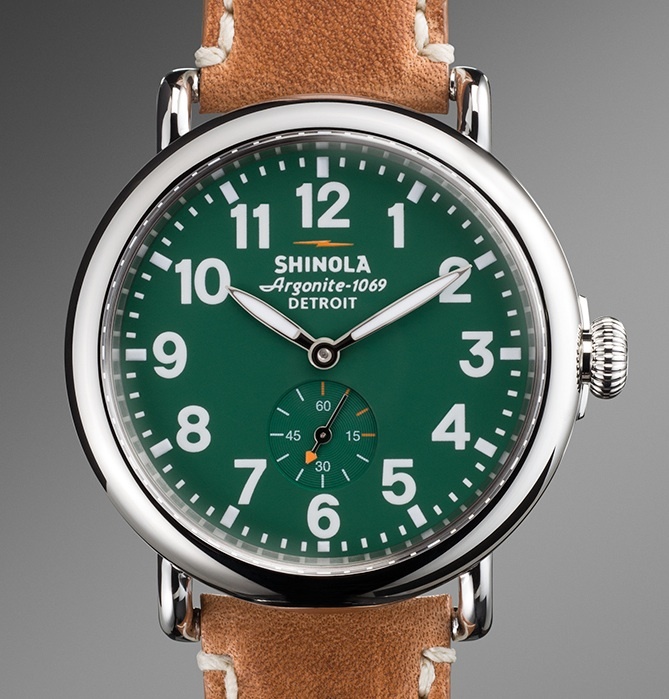 Their initial run of 2500 Limited Edition Shinola Runwell watches sold out in a week. Don’t worry, they’re making more. They design in-house. If you take the factory tour (recommended) be prepared to have a design-gasm. The Shinola plant wears the skin of a mythical Detroit that never faltered but kept the best of what it liked. The references to earlier eras are everywhere, but they don’t descend to kitsch. A sense of continuity, a love of honest materials, and a whimsical approach inform Shinola’s re-purposing of the space (check out the conduits squirreled through leftover water pipes). It speaks to the creative possibilities inherent in thrift. It’s cool, and understated, which is to say it is extremely cool. If you buy a Shinola American-made watch, you can come here and shake the hand of the guy who built your watch. Who built your watch? Wouldn’t it be nice to know? Visit the Shinola website to see the faces of the people who work here and learn a bit about them. The automobile companies laid off many of them and replaced them with machines. Now they have been retrained to perform this delicate, demanding work. New definitions, indeed. 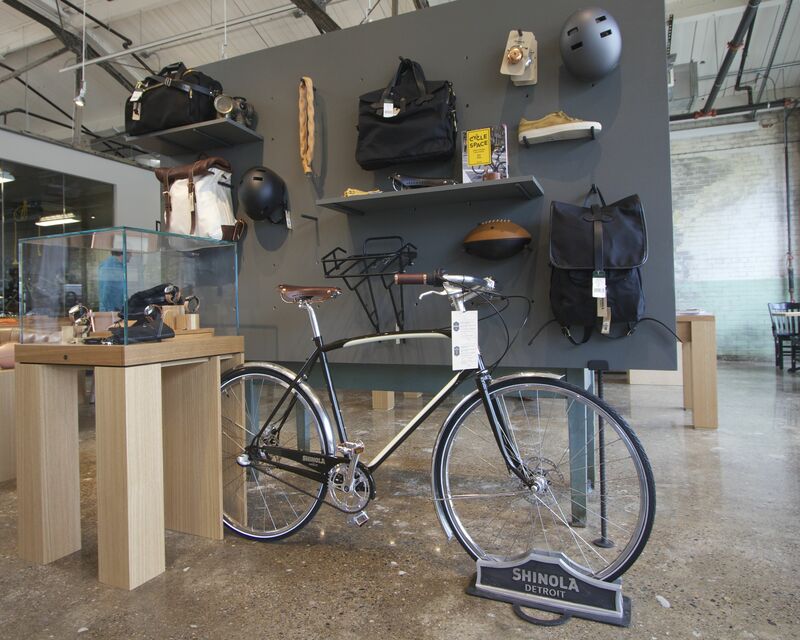 A visit to Shinola’s retail store in Midtown—opened just three weeks ago—is a must. 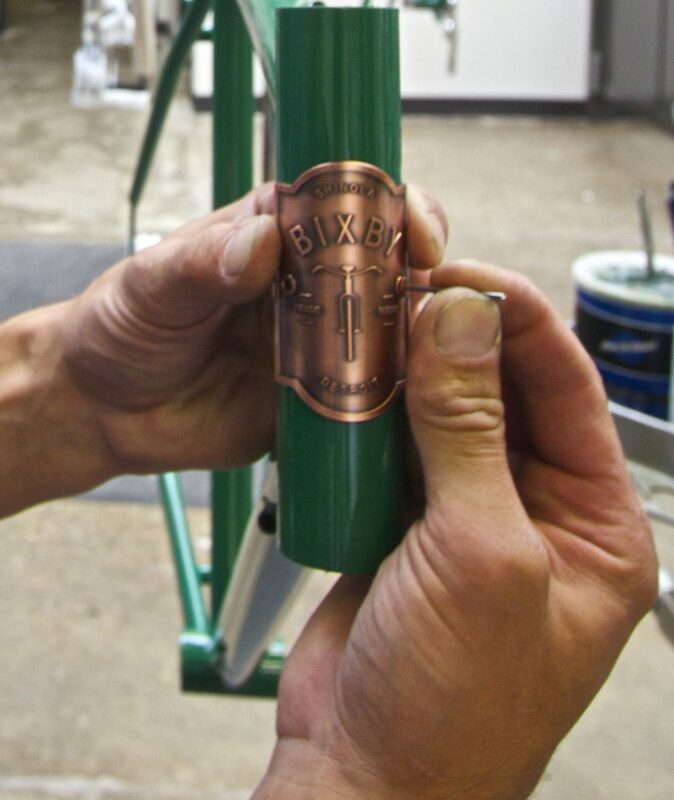 In addition to fine timepieces, Shinola brings its high-quality, crafty aesthetic to building excellent bicycles. 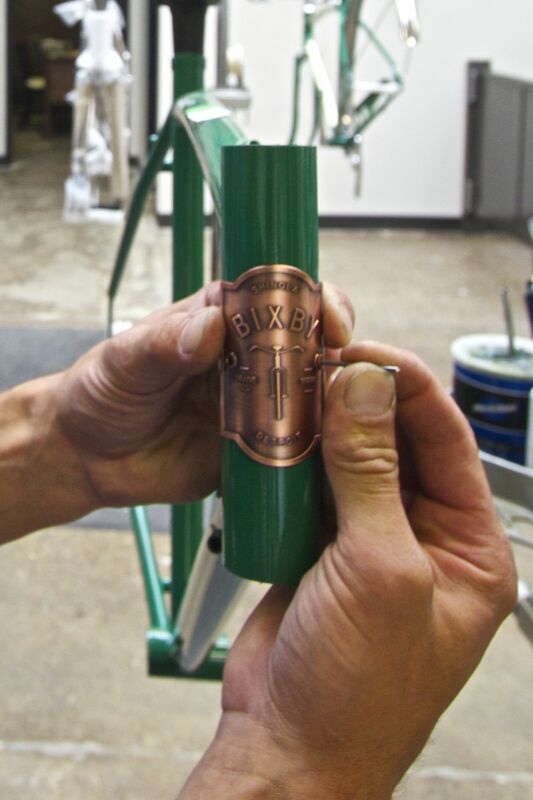 Browse the Runwell and Bixby bikes, watch the bike assembly first-hand, lust over the watches, thumb through the handmade leather goods and cool accessories, and grab a fresh cold-pressed juice from the in-house bar, courtesy of local partners DROUGHT. After I watch metal artist and bike builder Alex Stchekine assemble a new Shinola bike, he offers to take me for a ride around the neighborhood to let me try it out. I loved the Shinola Runwell bike immediately. It’s sleek and classic, with little touches–like leather washers on the fender bolts–that recall another, better era of craft and style. Riding it, the first word that comes to mind is nimble. It’s light and balanced and feels like an extension of my body. And I want one. As we ride, Alex points out the sights and gives me a quick tour of Midtown. 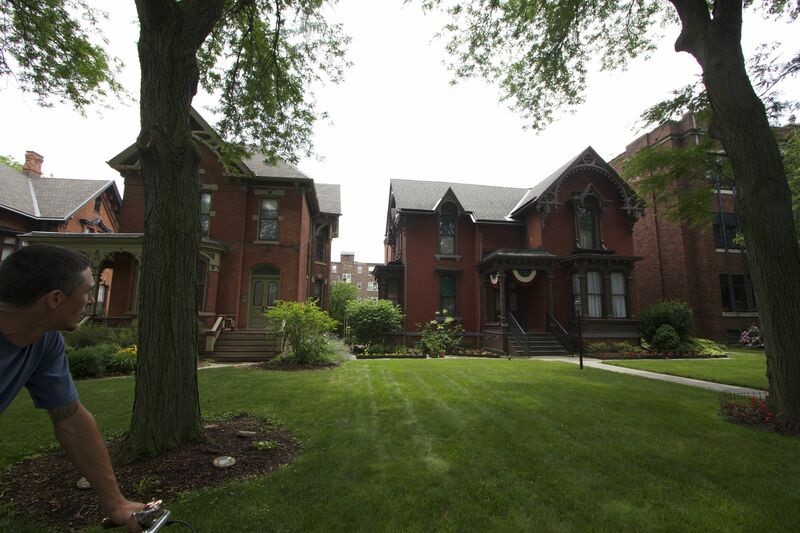 We glide through the Canfield Historic District, lined with beautifully preserved Victorian homes. He points out Slows BAR BQ and raves about the baby back ribs there. 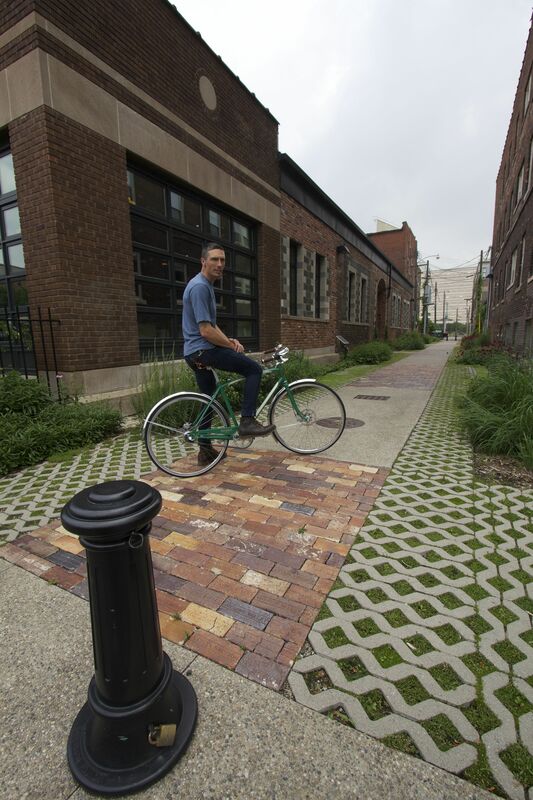 He also tells me about Slows owner Phil Cooley’s gift to Detroit’s artistic community: Ponyride, a 100,000 square foot warehouse that he rents to artists and fledgling entrepreneurs for ten cents a square foot, utilities included. As we roll, I see still more buildings being cleaned up, cleaned out and restored. Alex takes me down a formerly derelict alleyway that was adopted by volunteers. It’s greener, prettier and more flower-bedecked than many parks. When was the last time you wanted to stop and smell the roses in an alley? I did here. The cyclists are a strong community here. The city is adding bike lanes to accommodate them. Shinola is not the only game in town; five new bicycle companies are either newly opened or soon to open in Detroit, including Detroit Bikes and The Detroit Bicycle Company. After the ride, my wife and son and I follow another hot tip to the new Green Dot Stables in Corktown, where the menu lists a wide variety of gourmet sliders, each with a recommended Michigan craft beer pairing. 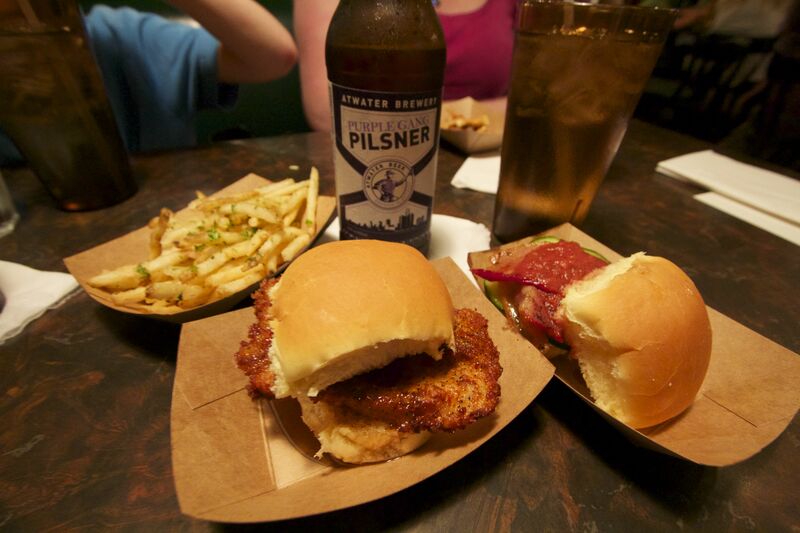 Try the fried chicken with panko sage maple syrup slider paired with an Atwater Ghetto Blaster. Or the Korean, with beef patty, peanut butter and kimchi matched with a Lagunitas IPA. Or the venison hot dog, or the herb and truffle fries, or fries covered in venison chili cheese. They also have a Mystery Meat slider that changes depending on what unusual creature they can get their hands on. To my frustration, I missed the opportunity to eat a camel slider by mere days. 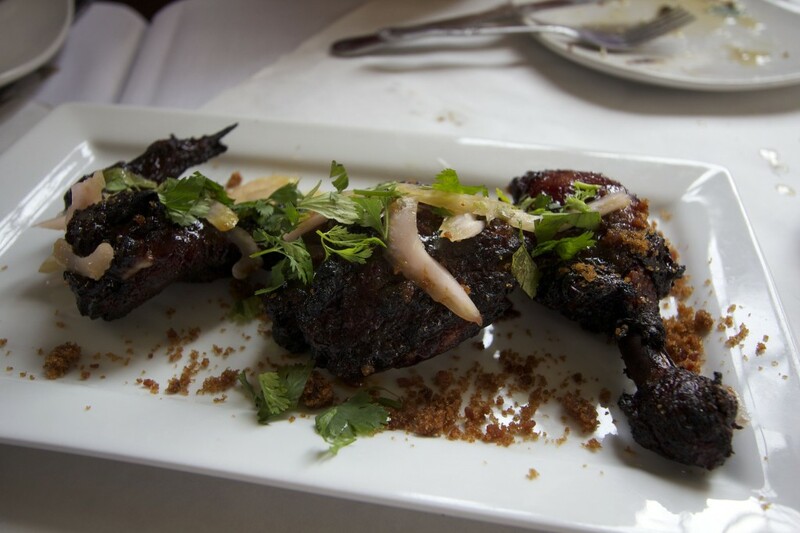 But the varied menu brims with delicious compensations. All the sandwiches are either two or three bucks a pop. We loved it. And as we raised a cool bottle of excellent Atwater beer in a toast, we decided that we loved Detroit. None of the popular narratives about Detroit allow for the possibility that the city might come back, not as what it used to be, but as something quite different. Maybe something new and fine in its own right. 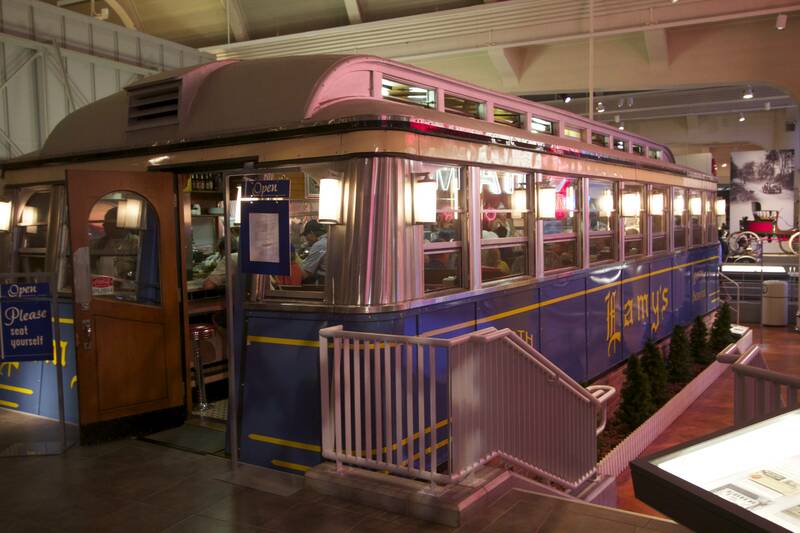 I rode on Detroit steel over the holiday weekend, but it wasn’t the steel of 1950. It was lighter, more nimble, greener and more youthful. I liked it a lot. At 5:45 a.m. on the morning of my last day in town, I groggily emerge onto the street outside the Book Cadillac Hotel to have my Omega Man moment. I love cities in the dawn light before they become populated for the day. Everyone is toeing up onto the starting blocks. Expectation. Potential. What might be possible in a day? As I wait for the light to change—I hear him before I see him—a smiling man walks toward the heart of downtown singing at the top of his lungs. He’s dressed for work—work somewhere—with an apron, black pants, white shirt and gleaming black shoes. His arms are pumping as he walks, and occasionally he punches the air to emphasize a line in the song. He’s on his way with enthusiasm, and he’s got a song sending him there. There goes Detroit, I think. Singing on its way to work. Again. Nothing’s open this early on a Sunday, nothing, except the World Famous American Coney Island, a Detroit institution open 24 hours a day, and only one block away. Two guys in paper hats are working the place, a young industrious guy barely out of his teens paired with a white-haired veteran. Both welcome me in and ask me what they can do for me. I look over the menu on the wall and confess that I am a first-timer, so I suppose I should opt for the Holy Article. The older guy laughs and asks me if I want tomatoes, chili, onions, ketchup and mustard. I ask him if I do, and he says yeah, I do, so I do. What he presents me with is so iconically American it should be on the money: a hot dog on a white-bread bun in a paper cradle with the works. I find a chair and set my breakfast down on a plastic laminate counter to briefly consider this simple thing that everyone in Detroit thinks they personally own. At Rodin, my wife and I had chatted with a local couple over shared small plates, and at one point, I asked the man about the fabled Coney dog. What particular thing we choose, as a community, to identify with, at the end of the day, doesn’t really matter. It could be anything—a hot dog, a well-made watch or bike, the way we like our pizza, a company, or the fond gathering places where we see our friends and drink together. Why, it could even be something as trivial as a square of brightly colored cloth that we hang from our porches on summer holidays. Whatever it is, it’s US. It’s Who We Are. It’s our neighborhood, our little place on Earth. The Humble Thing becomes the signifier we use to declare ourselves to the universe. And in the end, it doesn’t really matter what we rally around, so long as we rally. And Detroit is Rallying. And Reinventing. And Reincarnating into something worth visiting again. It’s going on right now, right as you read this. But as cool as it is, even the locals can’t really define it for you. You’ll have to do that yourself. Why don’t you? Click on the slideshow below to see more full-screen images of Detroit. Follow this link to a Google Map that lists every place mentioned in this article, including points of interest that didn’t make it into the story. You can save the link as an icon on your smart phone and use it to get around the city.